With Thanksgiving a little more than a week away, I thought it would be fun to create some homemade bird food ornaments with my daughter. It is a great way to get her involved in a hands-on project, and to feed the neighborhood birds as well! We had our first freeze this week, but there are still plenty of birds hanging around, and it would be great for them to get a good meal before they all head north! Add birdseed to a medium-sized bowl. Start by bringing the water to a boil in a small saucepan. Add in corn syrup and gelatin, stirring until both have dissolved. Stir in flour, and remove from heat. Pour mixture over birdseed. Grab a spoon or a spatula and coat with non-stick cooking spray (trust me). Use it to mix the birdseed and corn syrup mixture, until the birdseed is all coated. Use the non-stick cooking spray to spray the cookie cutters. 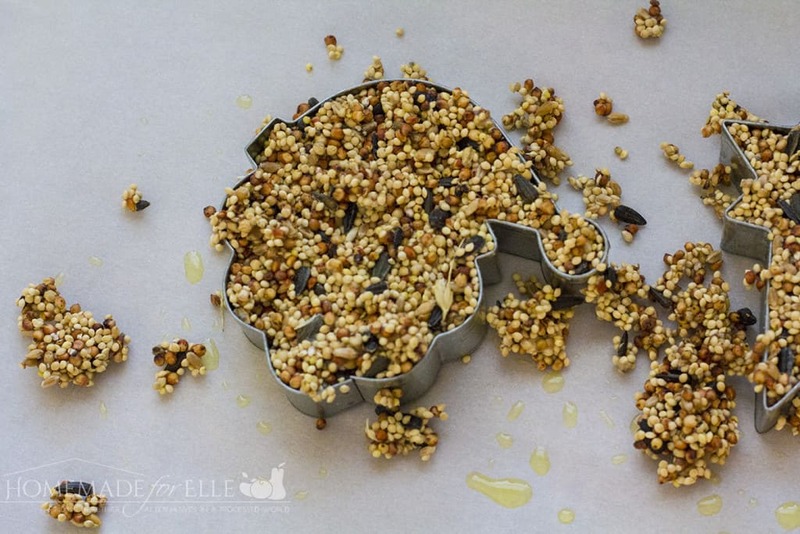 Place on parchment paper, and fill cookie cutters up with birdseed mixture. Make sure to pack it down and fill any holes. Use a stick, pencil, or something similar to make a hole in the top center of each ornament, to allow space for the ribbon. Allow mixture to set for 6 – 8 hours, then gently remove the cookie cutter from the homemade bird food ornaments. Thread ribbon or twine through the hole, and tie. Now you’re ready to hang your ornament! If you need some other ideas for edible decorations that your neighborhood birds will enjoy, check out this article: Edible Decor Birds Will Love! Looking for other handmade ornaments? Check these out! 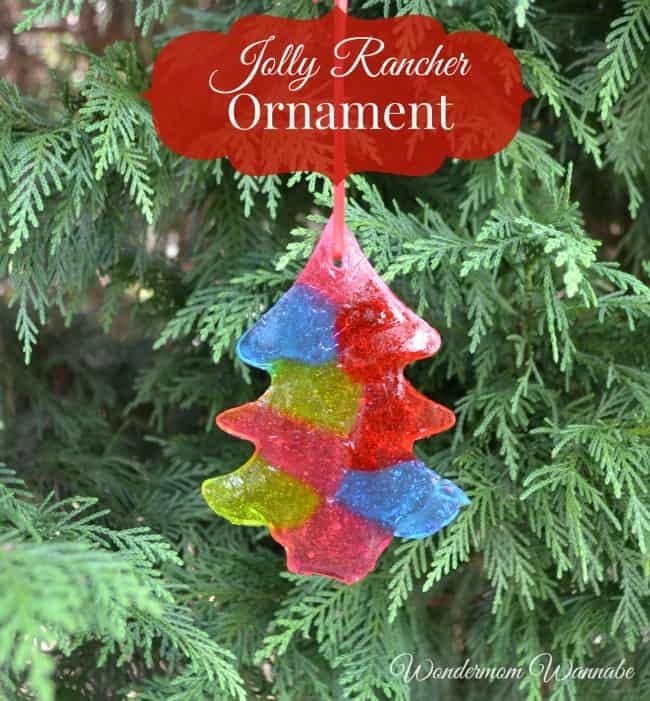 Jolly Rancher Ornaments – use up your excess Halloween candy to create a fun Christmas ornaments from jolly ranchers! Wondermom Wannabe shares this tutorial that your kids will love participating in! 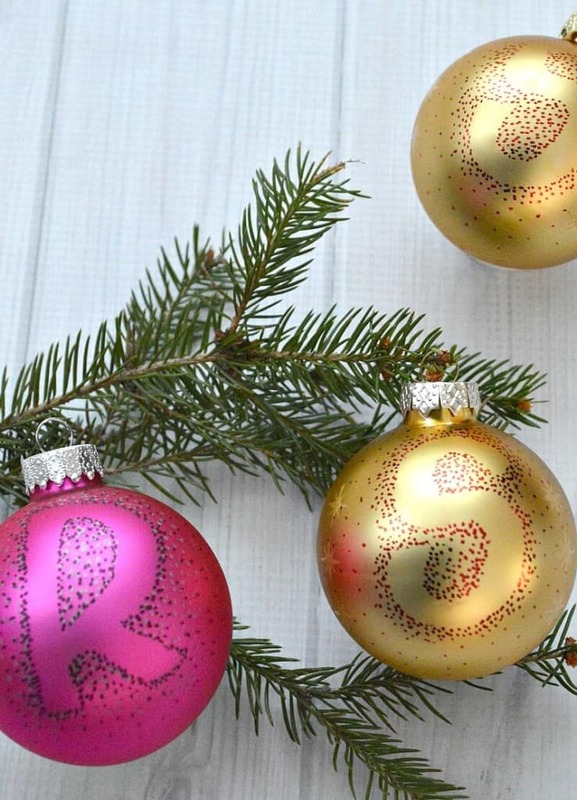 Easy DIY Ornaments – Create these customized initial ornaments for everyone on your Christmas list! Susan from Organized 31 shows you how! 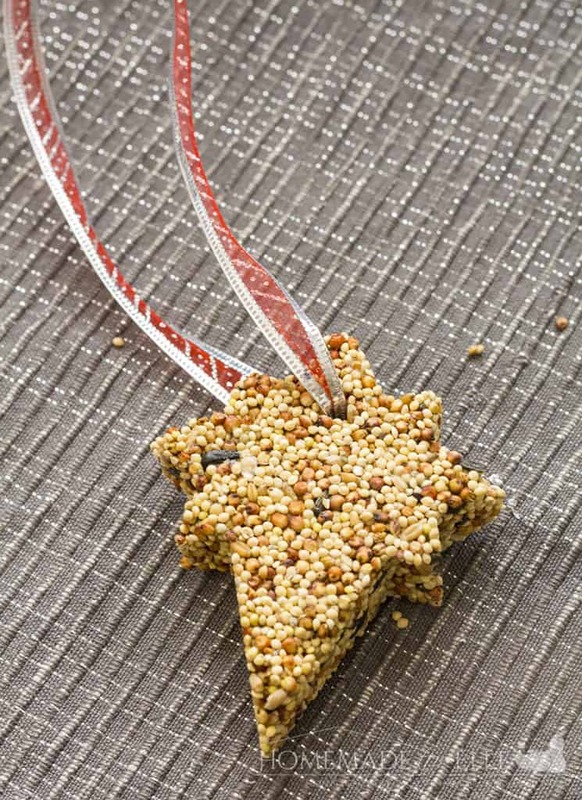 Have you ever tried making a homemade birdseed ornament? How did the birds around your neighborhood enjoy them? Adorable. I think I’m going to adapt the bird seed one to feed my squirrels on Christmas morning. And I love the jolly rancher hanger but there’s no way I’m parting with those! Yummy. These are such fun ornaments to make! These were the first ones we ever tried, and they worked quite well for the kids. It’s great to see which birds will come to eat the decorations. I love this! My kids are out of school all week next week and they would LOVE to make these. This is such a fun way to get little ones involved in nature! 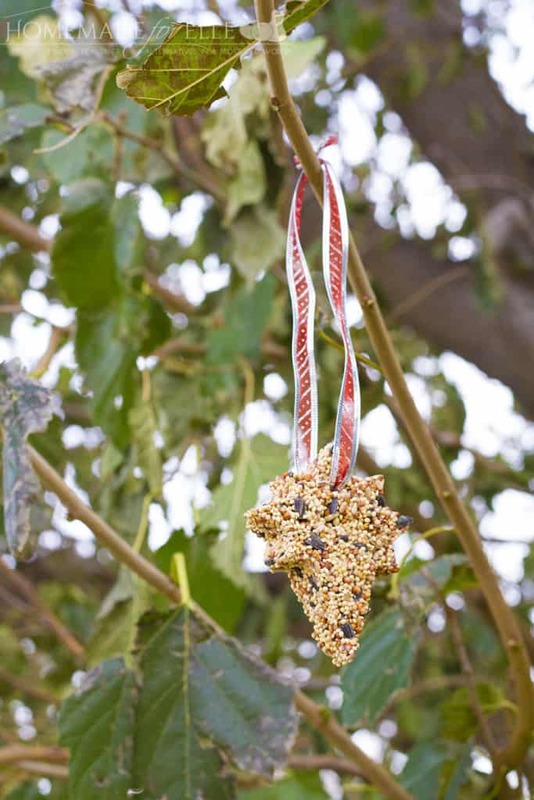 I loved making bird feeders as a kid, and this combines both that and a festive craft – love it! These came out so cute! I love them. It would be so cool to decorate a whole outdoor tree with them! I love how this turned out and I think it’s a wonderful way to spread some holiday cheer to our feathered friends! What a fun project to make with the little ones (or just for myself 🙂 ) This would be perfect to make on Thanksgiving afternoon.